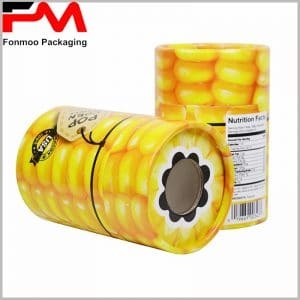 Large custom cardboard cylinder boxes packaging is often used as food packaging, cardboard is used as raw material, according to different types of food, different pattern content are printed. Among them, tea box packaging, as the most common large tube cardboard boxes packaging, according to the different sizes, is divided into 125g, 250g and 500g of tea packaging. The variety of tea is very large, if you want to stand out in a large number of tea brands, you need a unique tea packaging appearance for a unique publicity. When tea is placed on the display shelf, the first thing that gets the most attention is the product packaging, and the uniquely designed packaging will attract consumers and let them understand the information of corresponding brand of tea. This tea packaging shown focuses more on the species of tea, while the tea brand only refers to the manufacturer. The biggest difference between the paper-tea tube tea box packaging and most of the others is, whether in the main cylinder position, or in the top cover and bottom cover position, the information of varieties of tea is printed, and most of the cylindrical packaging will not print brand or product name on the bottom. Each product packaging design is pinned on the product concept or product features, and packaging design, as well as improvement of the structure will make customized product packaging perfect. The design of the gap between the lid of the cardboard tube boxes and the main part of the package, as well as the blister or EVA inside the package, have very large effects for users’ experience. The color difference of the packaging and printing process, and the details of the edge treatment, make every food box we produce for you perfect. All the shows are perfect, let me immediately want to order it. The only flaw is that there is no video production. I really want to know how this is made. Thank you.